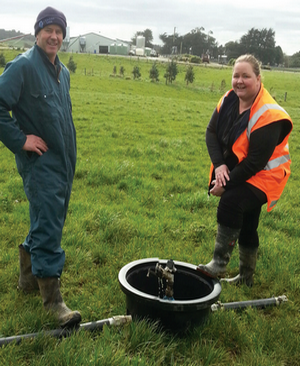 There are several steps to becoming a Dairy Effluent WoF assessor. 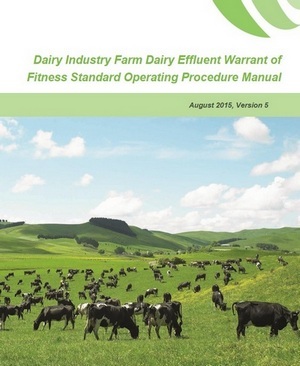 Assessors must complete the 3-day Farm Dairy Effluent System Warrant of Fitness training course, and then follow through with the official Certification process and be issued with a Certificate of Completion. There are no specific pre-requisites for the WOF assessor certification and training process but it is expected that most people will go onto become Certified WOF Assessors so there is an assumption of prior experience of dairy effluent farm systems. 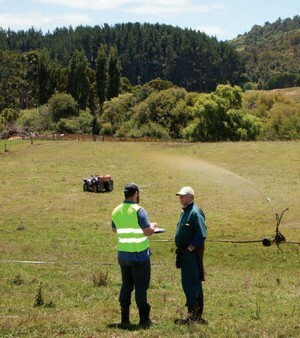 Some level of practical experience will be needed to pass the certification which is likely to have come from either being involved with companies that design and install effluent systems or from people who have previous knowledge of assessing systems such as shed inspector or regional council compliance inspections. The 3 primary components of WoF Certification are to complete the Application Form, attend the 3-day WoF Training Course, and finally complete the WoF Calibration Exercise. See below for more details of each component. Get things underway. Please fill this is and send to us, we will get your details into the system and let you know when the next 3-day training course will take place. As part of the WOF scheme this training course provides potential WOF Assessors with the background skills and knowledge required to become an Assessor. Once the training course has been completed, applicants can become fully certified assessors after completing and passing a calibration exercise and witnessed on-farm WoF assessment. The certification process has an application cost of $1080 + GST (include calibration and witnessed on-farm WoF assessment), and then for the second year $250 + GST (calibration plus administration). Applicants must submit a cheque for the amount or attach a purchase order so an invoice can be sent. 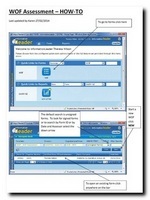 Once certification is completed applicants are given access to a number of resources, including the computerised WoF Audit capture system and reporting, calibration software and online training, and marketing material for assessors to use. Assessors can send in a biography which will be loaded on the WoF website. Support for the computer systems is available during working hours and assessors are welcome to request help and assistance when completing the digital assessments. There is no additional charges for these resources. As a fully certified WoF assessor you are a valuable resource for Farmers to engage. You offer a very thorough and consistent assessment of effluent systems, and as a Certified WOF Assessor you will use the same methodology every time.